NovaWeld Flex HTFC & HT are two-part structural methacrylate adhesives formulated for applications intended for the powder coating process. Sharing common chemistry, they differ only in the functional cure-speed, allowing diversity of applications. Both grades offer a high functional tensile shear strength after the initial cure, that further increases following an additional heat cure process (30 min@180ºC / 20 min@200ºC). This unique chemistry allows these grades to not only maintain a high functional strength through the powder coating process, but actually improve in all aspects of functional strength performance. Consult the material safety data sheet (MSDS) before using for the first time. Remove nut and repeatedly press the gun trigger until both parts are dispensing before attaching mixer nozzle. This ensures you mix equal amounts of adhesive and activator. Allow the adhesive sufficient time to achieve handling strength (working time is dependent on grade used and the environmental conditions) before moving or unclamping. 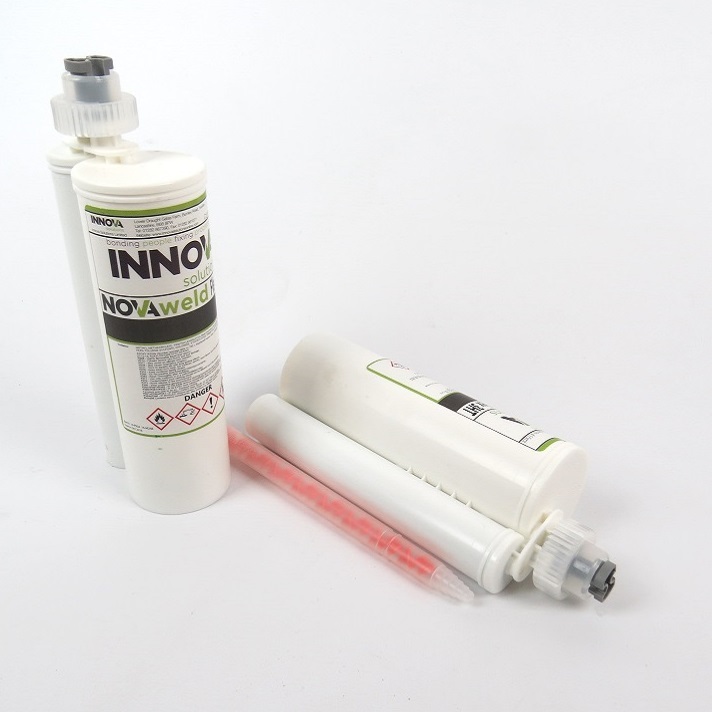 NovaWeld Flex HTFC & HTFC is available in 415ml Nylon cartridges for use with a twin cartridge dispensing gun. NovaWeld Flex HTFC & HT should be stored unopened in a cool dry location, out of direct sunlight. Stored correctly this grade can offer a 12 month shelf life from manufacture. 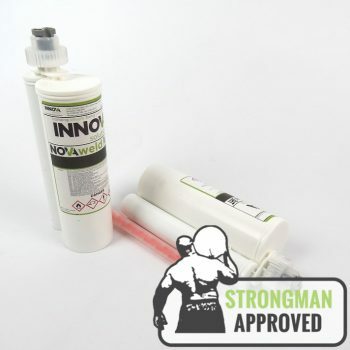 NovaWeld Flex HTFC & HT is a methyl methacrylate and should not be used without consulting the MSDS, which contains full information regarding the use of this product, including Transport, Disposal, Toxicological, Exposure Controls, Accidental Release and First Aid measures essential to the safe use of this product.